A Voyage with two Beings. A journey into a greater realm of understanding. It was also a Thursday late evening when Ervin was on the G4 computer. While logged in to my gmail account he received an urgent message from michael. Our dear friend Rachel's niece, "C", had died suddenly in a tragic accident with "A", her fiance of only 1 or 2 hours. Suffice it to say, this was an event that flooded my (mind) consciousness with a necessity to be of real assistance to the best of my abilities. Two sentient beings had shifted suddenly into the Transit realms. I experienced a profoundly deep pang in my heart, followed by wave after wave of compassion. Spoke with Ervin about the beings and the current situation. I requested if he could please track them and recommend which reading chambers to invoke. Sometime before he does this I have already read Clear Light. The connection is present in a watery and wavy form/formless. In fact, I initially read the Clear Light and after a somewhat inconclusive session, approached Ervin to ask his assistance. Graciously & beautifully present, he willingly complies, the Light of Service shining in his face, eyes and physical totality...........beyond as well........ He instructs me to do the readings "upstream", from wherever the beings are at this present moment, back toward primary Clear Light. Ervin states that A has experienced major panic and is heading straight toward rebirth. He directs me to read Chamber Thirty Five. C is in second stage. (Maybe Chamber Nine*) The maybe is my uncertainty. E. was definite. Memory? This reading closes all wombs forever. One sacrifices/renounces all experience. At this point in the Bardo journey (sans corpus) one is finished in the labyrinth; rebirth is a stone's throw away. Or so the occluded consciousness surmises to a bit of itself. This is the life jacket point where one is rescued by something 'greater' than oneself in a centralized ego viewpoint. If one simply releases all baggage, everything that doesn't serve the Work of our Higher Being, we are Free. The reason this is such an opportune moment to awaken once and forever is because of all the intense suffering & drama one has recently endured in the bardo realms. Got to let go of that which causes us to suffer. In the midst of getting our faces smeared with our own uniquely crafted form of personal suffering, getting tossed a shining rescue jacket from an apparently 'higher' tho' definitely different dimension in a cool & compellingly friendly way,,, is a great honour & blessing. It is a most amazing & Auspicious time to dump the character suitcase and release all neediness/needs to be somebody or something. That is a most potent reading. I felt a strong connection with A at the conclusion of the reading. The Being was listening and attentive. The Being's energy stabilised & began to imperceptibly rise. Yes. Upon entering this chamber, there is stirring of deep & insatiable appetites, the realm of the hungry ghosts. They who are never satisfied. This being was poised on the cusp of embarking on an upper class British Columbia Lower Mainland lifestyle. This is the god realm. A traffic accident later, this being has seen that lifetime obliterated. The Being is confronted with many desires and very direct and blunt instructions on how to maintain her essential poise and presence without being influenced by the shadow show of self-generated images. I/the Being recognize (simultaneously perhaps) that this is the most relevant chamber. The Being is indeed coming to terms with realizing the necessity to activate total acceptance of what is. It's not the most fun thing to do but the Being sees the wisdom of the medicine. The Being releases desire, in particular for objects & things to accumulate. There is a pleasant sense of emptiness at the end of the reading. Something has been released. Add on to last night's writing: For quite a while during and after the readings my physical body is aching in several areas, enough to warrant the analogy of 'aching all over'. I thought for a few minutes that my body felt like it was 'coming down' with the flu. I took some herbs to boost immunity, tylenol and rested. In the morning I felt completely well. The next morning Ervin gave directions to the next chamber which I found as the Seventeenth Chamber. My goodness. This is the Great Mother of all readings to close all pathways to the Six Worlds. Wave after Wave of intensity peaking in seemingly endless crescendi of significance are confronted and allowed to transform back into the original ultimate nothingness from which they appeared to arise. The radiations burn & blister relentlessly until one softens and accepts complete merging with the Clear Light. Over & over, one is tested by the Beloved. One views the apparently externalized hallucinations of one's 'usually kept invisible to one's perceptions' feature, and recognizes them as part of oneself. This recognition has the power to liberate and awaken. "Over & over one faces the dark & chaotic forms of consciousness, over & over one merges with That which ever waits just beyond the images. Over & over one is liberated, over & over one is threatened with dualistic disaster to test the resoluteness of one's intention to sustain the Clear Light indefinitely. This teaching is multi-dimensional for me. Sometimes I feel myself to be the voyager and I am reading to myself. Other times & perhaps at the same time, I experience myself as the guiding presences, as well as experiencing the sensation of many listening beings needing very much to hear the message of this reading. The sensing of vast responsibility calls forth every effort to maintain a particular level of impartiality. What if we all ditch the drama and just put our own unique talents to work. Do what we incarnated here to DO. Stop messing with mental flotsam & jetsom about 'saving the world'. That's just a head trip distracting us from the genuine & deeply poignant dilema stored up within each one of us. After the reading, I again feel strong aching pain in several parts of my body. Just nearing the conclusion of the readings, I flash on the truth of experiencing phantom sensations from the terminus event. (being struck by an SUV while crossing a street). Tonight the aching is gone within an hour. I am grateful for the flash of insight about the phantom pains. The Being is very clearly present now. This reading scours the conscious clear away out of the realm of the unfriendly apparitions. Gone. Totally gone. What a deep blessing. I feel so humbled & grateful. What Pure Glory is this utter condition of smallness. Fasten the cosmic seatbelt we're on another voyage of Discovery. Here is the Great Mother and there is a shock of recognition for me. I experience the consciousness of Being the GM & doing the zero meditation as well as the consciousness of that which is observing the GM doing the zero meditation. There is humour here, slightly sardonic at times, a little wry, but very aware of the real choice & the consequences of choosing frivolously. The imperative importance of standing tall for the conscious choice makes this a most satisfying reading. The great blessing of the utter & complete dissolution of human pride & arrogance liberates the Being into undreamed of levels of joy & freedom. By opening her eyes to a greater vision the Being has found priceless gifts. I enter the engineering room & converse with eric about doing readings for beings who have passed beyond the physical. I am deeply present in the space of reading. He listens with great attention & asks how much I would charge for doing that. He is very supportive. I state that it is a service and no fee is charged. He then wishes to know what one (he) could offer in return for such service. I spoke of offering one's sacred force on behalf of consciously benefitting other beings........perhaps I need to get more specific. He seems to have gotten swept up in a very busy energy flow. When some beings get energetically ramped up to a certain point, a compellingly busy schedule shows up to siphon off the extra force that is above & beyond the requirements needed for the sustainment of daily life. This is a shifting point, shifting focus reading space. The Being is making a quantum shift out of the humanside reality. A discernible quality of being awestruck is fading into a space of greater comprehension & relaxing into deeper acceptance of what is. 'What Is' doesn't feel like as big a deal anymore and calling it 'high indifference' in the reading is pretty spot on. One line catches me & still leaves me wondering......'the eternal battle against the forces of good and evil'. That phrase seems out of phase to me. I will have to ponder it more with deeper understanding. This reading is still intense, but its essential format is the same as Chambers 7 & 35 and that can be sensed. As the energies break down into their pure essential components, they become more & more familiar, recognizeable. It's really clear what the best choices are. The high indifference makes it easy to discern where the condition of Being wishes to go. The Six World forces are losing their magnetic fascination. They are clearly devoid of any real substance. By the conclusion of this reading, the Being is completely anchored in the Re-Turn to Clear Light. Still not sure about where this is heading but the alternative is pointless & futile. There is still time to rest & regroup & that is acceptable & even appreciated. This one has typically been strong & stalwart but there is the surprise of experiencing the wrench of volatile emotions rising to the surface of consciousness. This chamber steers one away from the realms of violence & anger. There is some fascination here but that is quickly passed over. The wording of the reading leaves one in no way uncertain of the most appropriate directing of choice. It is hard to be gradually deprived of one's deep convictions of who one was as a human being. It was such an anchored & calmly certain ground to stand. Now the realization of a deeper level & probably more, is a little unsettling and disconcerting. 'I thought I knew who I was'. Back to the basic 'Who Am I?' 'Course the Ninth Chamber takes that question with a bit of a chuckle & hands it back to us as 'Who Am I Not'? This ceaseless letting go takes a lot out of oneself, especially when it never was oneself to begin with. Well, actually it seemed to be, but there appears to be a major upgrade of effort going. Organic life involved putting a few currents into action, but the effort pretty much felt like moving downstream. Now, things feel as if they have reversed, certainly in regard to the sensation of flowing against the current, pushing upstream ever more fervently. Why this push to move inexplicably towards a Great Mystery? Any memory of this is not readily apparent. So why the urgency? These are still questions but moving away from the tendency to respond with anger is clearly a good thing to do. There is some deep sense of peace at this resting point, or juncture. This is the chamber with the green radiation that dissolves jealousy, attachment & possessiveness. Again, it seems surprising to experience the force of the energies that arise. Even if one never considered oneself to be full of desire & attachment, the underlying structures of the existance reveal something altogether blatant & explicit regarding where the attention & intention is focussed. There are still residues of old, even ancient states of jealousy, and they arise quickly & intensely to evaporate in the green radiation. The radiation is particularly intense this time. I, the reader, feel almost impaled by it. It radiates through my entire chest with the intensity of a laser. It is a palpable sensation. Throughout this tapestry of sights & sounds & impressions, the face of the beloved appears more & more frequently. The Great Mother is seen, though there are still obstructions to full recognition & comprehension. The process has a sort of familiarity to it now, at least in terms of the type of efforts one needs to be making. 'No pain, no gain' seems to be an operant here. Attention is intently focussed & this habit to pay attention as if one's life depends on it serves well here. It's just, there is still this wish, this 'if onlyness' feeling to everything, this ever present question of where this immense effort is leading. In medical school the goals & outcomes were clearly visible & realizable. One could maintain focus & motivation quite easily.............but here....there is this deep deep urgency to move away from rebirth to That which is still shrouded in mystery. Hints & glimmers peek out here & there but coherency is not this, or any other chambers' most prominent characteristic. In the midst of seeming chaos & endless swirling change, one can just sense this underlying power, order, something so Vast &..............? mysterious . . . . .
words can't get anywhere near to it. It is too soon to know what It is. One must be content with waiting. If only one knew where one is heading. On the morning of one of the readings, perhaps the Fifth Chamber, Ervin is lying in bed with me. It is morning, shortly after we have awakened. Ervin checks in with the being who was a woman & finds her in a condition of reactive anger. There is the struggle to comprehend the inexplicably harsh wrenching of the being out of her cherished life. She is reacting intensely to the sense of loss and being deprived. Ervin gives the direction of 'Form is Voidness, Voidness is Form' immediately transforms into a relentless induction into the recognition of Clear Light no matter what is happening, or what appears to be and not be. There is no coming or going leaving or returning. It is always Clear Light, the Voidness of the Void. I am that Void, there is no other; which allows the being to move out of the anger & clinging state. An endlessly relentless affirming 'I Am the Clear Light' until the Being says uncle. As she releases herself from holding on, Ervin gets a sensing of that complex disappearing. The tendency to hang on, releases & dissolves, leaving the Being in a condition of release & liberation. She is feeling better, more light. Ths Being is so ready for this chamber as it is the last reading for the second stage. After this, One has returned to Clear Light. Having released the complex of anger & clinging, the vision is crystal clear and open to the dawning of the full comprehension of reality. The Being experiences recognition and becomes grounded in truth & transformation. The process allowing the unconsious habits & thought forms to be dissolved by the cleansing radiations is understood & deeply appreciated. For the first time in an unimagineably long time, the voyager is grounded in eternal presence and rising gratitude at this realization is thrilling to experience. A sensing of the sacrifice being a step on a journey to Something of infinite Wonder & Reverence & Infinite Worth enables the Being to finish the releasing of the lifetime, all lifetimes in fact, and the releasing of all desire to even have a lifetime. The WHY of this now stands posed as an exquisite jewel of inestimable Worth, waiting to unfold & open as the Sacred Lotus of Eternal Wisdom, Radiant Transformation & Endless Opportunity for Conscious Being. In rapture, nothing waits forever. And forever is enough. The Heart of Love throbs & pulses in the harmonies of Infinite Resonance. Now One moves into the Realm from which there is no re-turn. But there is still Work to Be Done and one waits with endless Love & Patience for . . . . . . . . If one can tolerate the searing revelation of one's sleeping monkey, this will be an enjoyable journey indeed . . . . . If one enjoyrs the sensations of high radiation frequencies, this can be a sublimely heart touching chamber. One must strive continuously to relax into and trust sensations drawn out by the healing/purifying radiation. Total impartiality, coupled with the ability to arouse genuine remorse-of-conscience at one's own unconscious nature and its actions/reactions will transform this chamber into a Sacred Voyage of Divine Realization of the True Self. With this awakened within oneself, the Voyager has Everything Necessary to adapt to its native, essentially known & fully grokked HOME SPACE. With an infinte release into Divinely Blessed Recognition/Cognition, the Being realizes Total Freedom. Yes, Yes, Yes, one 'step' below the full montage of CLEAR LIGHT. There is a seeming 'guideness' present. It hasn't shifted down to the intimation of 'otherness'..yet. The instruction is mercifully brief and mercilessly direct. See the guide as CLEAR LIGHT. There Is No other. Maintain this meditation Absolutely 100%, Spontaneously Arising an effulgent stream of Higher Moods. If one is caught by a karmic snag of reactivity, immediately feel regret, real remorse, & deeply & most humbly Ask for Real Help. expressing Deep Love, Admiration & Honouring to all Guides & Bodhisattvas of the Labryinth, (an excellent Way) makes this into a Highly Pleasureable Purificatory Process. I cannot Thank & Honour enough. My Gratitude boundlessly Deepens into Eternity. There's a catch to sitting & staring. Give the mind a constructive focus, the simpler the better, so it keeps the wool gathering psychic fleas away. Clear Light is unfathomable & unthinkably Pure. Thinking and fathoming ARE. Eventually through many states of forever, the fog of disorientation lifts and the Being awaits Real Opportunity . There is a very strong ego presence in this chamber that is closely monitoring (with some wryness,) its dissolution process. Without a second thought, the [ illegible ] is dropped and falls deeply into humility with the demeanour of a child falling into a deep rest. Pride, arrogance, fear based actions, the worst reruns in the galaxy (the jokes are good tho') reminds one of the foolish fallacies that would attempt to tempt one to downscale. wow, how could I allow myself to forget the path of unconscious rebirth. And, to my shock I see myself swelling up again . I take refuge in the cleansing radiation. It is dissolving my attachment to the human realm. that magnetically compelling realm that ordinary thought lacks the force to remain conscious while in close proximity to. The yellow light is the radiation of Glory. The Being's bond of organic resonance with organic life in the human realm is released and the show no longer has the power to hold the attention & fascinate all wisdom discernment components of the being intelligence. The Being must remain conscientously responsible for its conduct by maintaining an awakened state of awareness. One needs to be actively aware of Real Ethic and hold all thoughts, feelings and deeds to the Discerning of the Higher Faculties of Objective Reason. There is a profound sense of responsibility, that One has not yet realized must also be released on the Path to Real Awakening. Here lies the revelation that fear is the driving force of anger. Reflections of how that has been so in the lifetime rise up, example upon example - the moments of freedom from this chronically gnawing undercurrent are comparatively rare. It seems the whole drama runs on fear, and the universe in its infinitely accomodating manner manifests our particular flavour of boogeyman. 'Course, one may then make the mistake of getting angry at the universe. This whole idea of something 'out there' harbouring an unfriendly intention must be sacrificed. Otherwise, this belief will draw one inexorable further downward toward rebirth by tapping the immensely rich primal consciousness of the Voyager to expel its secret visions of shadow phenomena, what are called the unresponsive guides. Everything within ourselves that we have denied the presence of, exists as a raw & pure energy condition. As the consciousness downscales, these energies appear to solidify & confront the Voyager. At this point, the journey feels dazzlingly intense, but it is simpler to deal with primal energetic forces. Much more impersonal than the visions that await the one who chooses to avoid these primal forces. These forces will be confronted sooner or later and, one must do the recognition practices within the lifetime in order to grow a real understanding of these energies, recognize them ALL as emanations of one's deep conscious and merge with them. If one has the erroneous idea that these energies are 'other than' one self, then the sheer immensity will blow one off centre & trigger a tendency to flee & avoid. Just stay put & take the medicine, even if it feels excruciating. This is nothing compared to the torments of unconscious rebirth. At the very least, one can grit their non-phenomenal teeth & stay in the posture of endurance. The symptoms & sensations will eventually abate, leaving one feeling like a toilet bowl after a particularly vigourous scrubbing with Comet, Draino & industrial strength Lime Away. However, the voyager can make things easier by simply opening & softening their heart. Humility is a must; Gratitude is a plus. to be able to consciously generate real Gratitude can transform this chamber into the Holy of Holies. The Being has come so far from the dangers of rebirth and is very close to re-entering the first Stage. but something is still holding them back. I sense some sort of heavy or inert energy that is keeping him in a holding pattern. He needs something that doesn't appear to be provided by the reading. The reading is powerful & revelatory, but we have not found the crux point of the voyage, the turnkey, the final Release into Emptiness. The reading ends & I decide to wait for the next day's reading to discern if something more needs to be done. She is stable in Clear Light. Waiting is . There is a sense of unfinished Quietude. It doesn't feel like this is how everything is going to turn out. It is a mystery to me. How can Clear Light feel unfinished . . . . .no, that's not it. there is a sense of expectancy. So many unrecognizable sensings/feelings. I finish the readings for this day in a vaguely unsettled condition. by now I should recognize this point to be a standing on the abyss of the Unknown & unmanifest. This is the Night of Brahma where the universe is drawn back into chaotic dissolution. Everything runs together into complete obliteration & annihilation. For now these swirling forms & formlesses coalesce, merge, dissolve, topple, tumble. Even though this seems forever, even though this is an endless process, simply by allowing it to fully BE, by full Acceptance, One has found the key to passage through this stage to the re-genesis of the New Universe. One still must wait Endlessly Forever. Nothing else is an option. One watches the burning & disintegration of all universes. And it is Good. I Understand something while playing the Continuous Music. One confronts the complete & absolute betrayal of the personal identity. That which is most precious and considered - sacred - is remorselessly and forever flung into the abyss of dissolution. Earth side is the time to find all these sacred cows of superficial sanctity, and transform them into Brahma bulls of Living Being. I am unable to sense any connection with the Being. It feels like reading the 4th Chamber is 'missing the mark'. I ask Ervin to please check in on the Being. At the same time I decide to add both beings to the collective Clear Light reading that happens evern Monday evening at a scheduled time. That reading occurs in an hour and a half. I wait in the family room while Ervin checks in with the Being. After several minutes he returns and communicates: The being who was known as Aneez is in a very nebulous, low energy condition. He has lost focus and E. innundates him with a Clear Light mantra. - 'I Am the CLEAR LIGHT. You ae the CLEAR LIGHT'. Over and over, relentlessly intent on implanting the message. He (E) describes the Being as returning into Present time focus and awakening to Realization of the essential necessity of the situation. A particular lucidity returns, the one which was present before the Terminus event. He remembers Her. E. checks with the One who has transcended Chanelle and She is Abiding. Present yes, not Present yes/no. All opposites cancel in the mutual Dance of Love Play. A is now completely Awake and Ready. 'I Am Ready to Merge' with the surrender of the attitude of egoic separation, a mood of eternally Patient Expectancy builds palpably in the Space. I realize in an instant that it is imperative for the Clear Light readings to happen NOW. Now I am experiencing the Clear Light of objective reality. Nothing is happening, nothing ever has happened or ever will happen. My present sense of self, the voyager, is in reality the Void itself, having no qualities or characteristics. I remember myself as the voyager whose deepest nature is the Clear Light itself. I am One, there is no other. I am the voidness of the void, the eternal unborn, the uncreated, neither real nor unreal. All that I am conscious of is my own play of consciousness, a dance of light, the swirling patterns of light in infinite extension, endless endlessness, the Absolute beyond change, existance, reality. I, the Voyager, am inseparable from the Clear Light. I cannot be born, die, exist or change. I know now that this is my true nature. Now I am experiencing the Clear Light of objective reality. Nothing is happening, nothing ever has happened or ever will happen. My present sense of self, the voyager is in reality the void itself having no qualities or characteristics. A gradual crescendo of happiness begins to expand in the Heart of the Being, A. In the ensuing expansion of the heart, the Being experiences waves of love of an incredible sweetness. He feels as if transformed into nectar. The Love is Sacred Elixer. Joyously, with rising amplifications of ecstasy, the Heart opens and opens. With rapture, one realizes this Heart has infinite capacity and rejoices in the sensations of growth and opening. She Is the Culmination of All Teachings. SHE is the Sourceless Source. All galaxies tremble at the Sheer Galactic Force of PRESENCE. Rolling thunder in HER form, rumbles of Power Beyond all comprehension. And HERE is MY OWN Dearly Beloved. The face of sweetly divine familiarity, the Power to launch an intergalactice consciousness space exploration. All this flashes 1,000 % into the voyager's Pure Conscious in the split of a second. Without the slightest hesitation HE melts into HER arms, HER eyes embrace Him in golden Pools of Eternity. With fervent reverence HE, in a frenzy of Ecstatic Purity, surrenders HIS life, force, Everything to HER. His nectar of Life Flows into HER and she returns it, a thousand times enriched. Thus is the GREAT RESURRECTION of the Dead and otherwise disoriented travellers of the human dimensions. The Rapture ignites and sweeps 'THEM' THAT, . . . . .out of the capacity for my current ability to view. I grok that this Enactment of the Merging of the Great Tantra Couple is deeply connected to E's work. He has often told me of his own encounter with 'The Goddess' just prior to his own birth and IT turned him inside out. That Event left an indelible impression on him, one that has always remained urgently close to his conscious mind. With a warm Blush of Happiness in my heart, I recognize This as E's WORK. I Am Deeply Deeply Honoured to Have the Blessing of receiving this Revelation. Knowing that this will benefit HIS WORK gives me a delicious feeling of deep satisfaction. There is an immutable sense of Absolute Completion. HIS WORK IS HERE . I am in an uplifted, yet also grounded and centered state, very Present when this reading is Complete. I wonder if I should do the next 2 days of Clear Light readings. For sure I will do the later evening collective CL readings, and consider that question further. This is the pre Space to the group reading for the benefit of all those who have requested it. When reading with the collective, I included the two Beings. they were Present during the reading, sometimes feeling like very high energy children wishing to return to their Divine Play. They listened with pure focus and seemed to feel it important to be Present with this Transmission of real data. When they leave the reading space, it is like a swirl of melting energies, an energy Yin Yang coalescing into a dot which races through space at the fastest speed visible, then vanishes. The contrast with them Present Here or travelling beyond the parameters of my perception is pleasantly discernible. they leave energy blessings in the space when they exit. They seem to have the ability to materialize and de-materialize in the Transit realms. The speed at which they travel is beyond my comprehension. The two Beings are sometimes sensed as 'two' but are often indistinguishable. That is, they are One energetic form that appears to have the ability to be anything or nothing as it so chooses. And sometimes it is the transit bodies of the two from the human dimension, very Present, very at Home. Both are Present during this series of readings. Through the Voyage into the discovery of True Freedom, they have realized the depths of True Responsibility. The Supreme Gift of the Tantric Mergence is intended as Deep Service to All Universes/Beings everywhere. They are very attentive to the reading; deeply respectful, open and honoured. The Work in Pure Essential Transmission Flows into Both and They are Grateful. But there is no weight to hold them down, no magnetic gravity pulling on all their bodies with all the myriad perceptions. 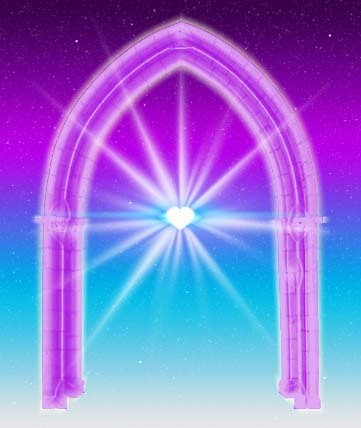 The Fountain of Divine BlissLove Clear Light emanation bubbles effervescently upward through their entire Being and they are liberated of the physical realms and All who reside herein. When their teaching receiving work is done, they vanish into swirling cosmic energies and flash out in an almost instant. I am so Deeply Grateful for this exquisite honour to be of Service to these Beings. May All Being(s) benefit. While reading Clear Light.. . . .third day . . . . . . They are gone with the entire space tingling and vivified by their passage through it so recently. The reading is well focussed and deeply beneficial but I do not know where they are. I am joyfully and completely at peace with that . They will be reborn at some point with the real intention to meet and complete their work here. They will enact this Great Completion and this LovePlay will be fully introduced to humanity on a mass scale. Add in sometime in the initial days following the formal completion of the readings. I was performing a reading when suddenly they were both present with me. With great Joy, and outright kindly Glee, they kissed me all over, like being beautifully swarmed by butterflies, and told me we would meet again. I experience such a deep and blissful joy at the honourable Prospect. Thus completes, for now, the saga of this reading cycle for two Beings. I thank the Universe, the Divine, and Nobody, and Nothing for this real opportunity to communicate and transmit a profound message to all who need to hear and read it in this way.